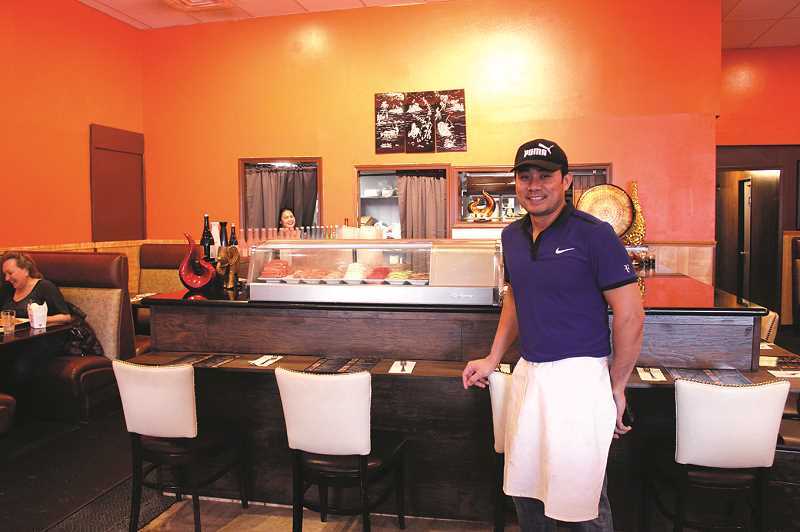 Lui's Palace with its famous buffet has blossomed into Thai Yo Sushi, a Thai and Japanese restaurant with a number of "old family Thai recipes," says Artitya Smith, sister of owner Montree (Nitoi) Navan. 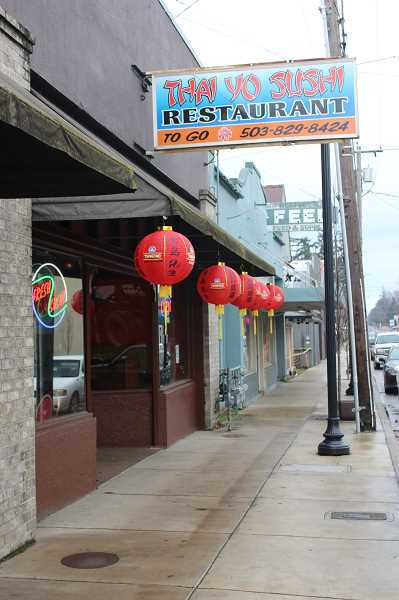 Navan bought the restaurant last fall, saying he "decided to try something new." He's been in the area for 18 years and lived in Molalla about five years. He previously owned a restaurant in The Dalles. Both he and his sister came here from Thailand. Navan is a professional sushi and Thai noodle chef, his proud sister told the Pioneer. They offer a menu that includes soups from Thailand, Japan and Vietnam along with Chinese Wonton. Appetizers include a variety of items such as edamame, a sushi sampler, squid rings, imitation crab Rangoon, Goyoza, shrimp tempura, chicken satay and other tasty treats. There's a lunch menu including curries, sauces, pad Thai and fried rice among others. Several Thai noodle dishes are complemented by Yakisoba while entrees contain both meat and vegetarian dinners and dinner combinations along with curries, sushi and a variety of sauces. Thai Yo Sushi also offers a list of sushi rolls and hand rolls along with sashimi. There's side dishes that include rice, peanut sauce and teriyaki sauce. Or those looking for light meals might be most interested in several salads. Thai Yo Sushi is in the process of getting a license to serve beer and wine. Prices are moderate. The restaurant, at 106 N. Molalla Ave., is open seven days a week serving lunch from 11 a.m. to 2:30 p.m. and dinner from 4-9 p.m.